Interviewer training is essential for anyone involved in recruitment however, few are fortunate enough to receive it. Very often, managers and supervisors are expected to conduct an interview with little guidance and this can lead to poor hiring decisions or worse, being sued by a candidate for discrimination. 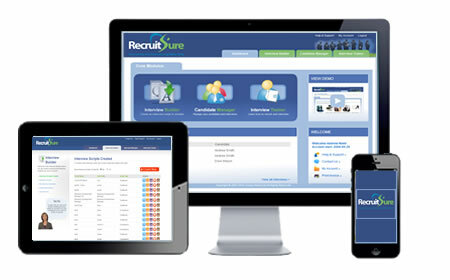 With RecruitSure's Interview Trainer you will learn how to conduct an interview, effectively and lawfully. And because it's online, you can develop your skills without having to take time out of your busy schedule. What to do before, during and after the interview and much more. Start today and you will quickly develop the interviewing skills needed to carry out an effective interview. You will understand the different stages of the interviewing process, and what to do to ensure you are within the law at all times.